Amphora (New York, 2005). First edition hardcover book in very fine condition includes dust jacket. 224 pages including more than 550 descriptions and photographs of common and uncommon forgeries of ancient Jewish and Biblical coins from collections around the world. 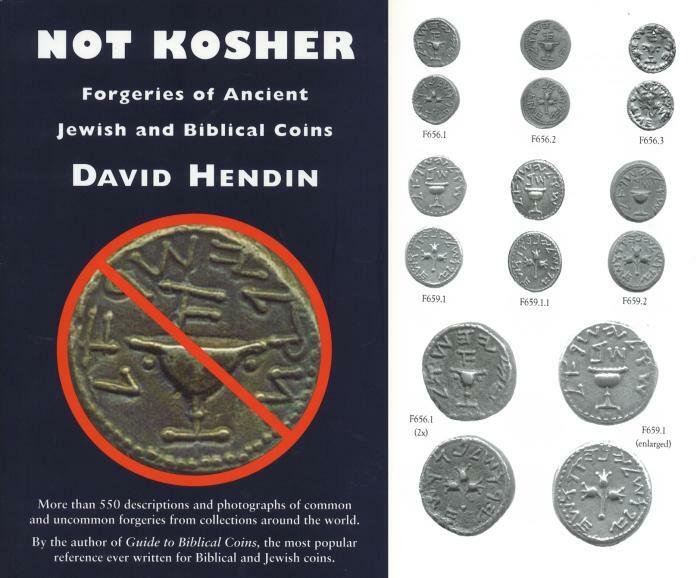 The author, David Hendin is known worldwide as an authority on Biblical and ancient Jewish coins. Ex. Bruce R. Brace library with his Ex Libris bookplate. Bruce Brace was a scholar and by many considered to be a dean of Roman Numismatics in Canada. Coins from his extensive collection were sold by CNG in 2011 and 2012.